This receiver is for controlling lights using DALI ballasts.DALI systems are standard protocol for light control. However, most of the systems are wired systems. We are providing world-class wireless Dali which is easy to install and configure. 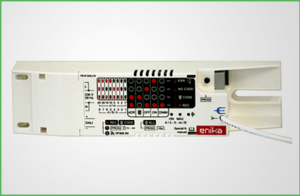 It can group a set of lights in one group and control the lights. Using our software and configuration. Transmitter, you can use the DALI bus to set up to 4 separate groups of lights. The Dimmer function has one button mode and two button mode. We supply these systems in all Middle East countries covering UAE (Dubai, Abudhabi, Sharjah), Kingdom of Saudi Arabia (Riyadh, Dammam, Jeddah, Abba), Qatar, Oman, Bahrain, Kuwait, Iraq (Baghdad & Erbil). Also, we supply all our sensors to North African countries mainly covering Tanzania, Kenya, Nigeria, Ghana, Rwanda, Morocco and Djibouti.